While Prince Harry was regaling the media with reminiscences of his time as a helicopter gunner, there was bleak news for those at the other end of the armaments industry spectrum. 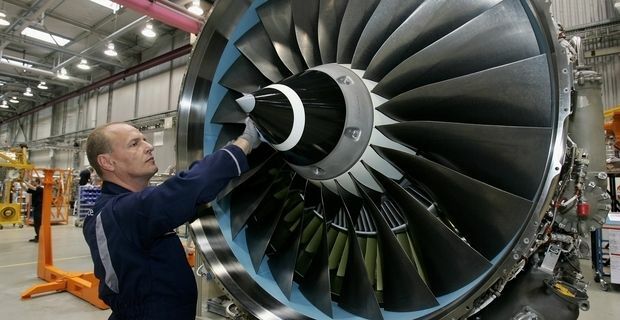 Rolls-Royce are cutting nearly 400 jobs from their aerospace plant at Ansty near Coventry. The Unite union is in negotiations with the company about job losses, but the union is concerned that the plant may face closure in the near future due to the government’s cutbacks in defence spending. Unite’s aerospace officer Ian Waddell said that the government decision had endangered jobs. "The blame for the loss of these highly skilled jobs in the key defence sector lies with the government and its short-sighted determination to ram through massive spending cuts in the defence budget," he said. The decision to scrap the Harrier jump jet fleet had a particularly strong impact on the jobs at Ansty. Rolls-Royce said it hoped to be able to reduce the workforce without the need for compulsory redundancies. The Ansty plant also deals with civil aviation contracts which are unaffected by the government cutbacks, but whether the plant remains viable remains to be seen. The Rolls-Royce crisis may be the first in a series of defence-related industries suffering from reduced defence budgets. Ministers have announced that the Army will be reduced by some 5,300 troops in 2013, while the Army, Navy and RAF will be losing medical staff. Defence secretary Phillip Hammond said: "The army is actively managing recruitment to reach the target numbers, but unfortunately redundancies are unavoidable due to the size of the defence deficit that this government inherited and the consequent scale of downsizing required in the army." The timing was not ideal, as, at the same time as the defence cuts were announced, Prime Minister David Cameron was in the process of outlining the dangers of terrorism in North Africa and the need for vigilance from NATO to combat the threat.